It was in Spring 2013 that I was contacted by a lovely lady called Julie Plumley, who is the Director of Future Roots CIC and was asked about our “Animal Assisted Therapy in Counselling” course. It turned out that Future Roots can be referred to what is known as a “care farm” and that they were working with their farm animals to help a fair number of client groups. These included foster children, older people with dementia and parents. Julie wanted to know about our course and having shared the background and brochure, she quickly decided that it was something she would like her staff to do together to improve their skills, knowledge and training specifically with regard to Animal Assisted Therapy. 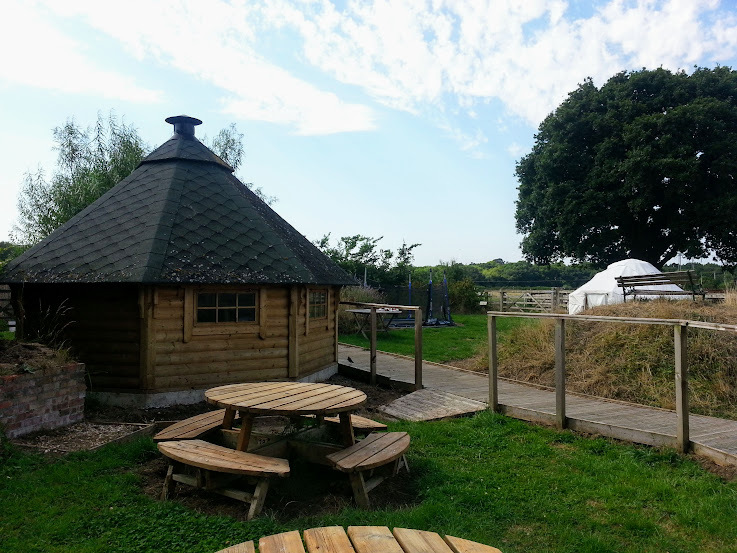 And so, with some planning, we decided to run the course as a 3 day “intensive” on site at Rylands Farm which is the base for Future Roots CIC, in the stunning Dorset countryside. Running the course was made all the more possible thanks to a grant that Future Roots won from the Dorset County Community Fund. At the end of July, I drove down to Sherborne, Dorset in my little Corsa. This was by no means easy, especially as I only passed my driving test at the beginning of March! So gripping the steering wheel til my nails were blue and chewing gum so I didn’t inadvertently chew my tongue off, I made my merry (!) way down the M5 listening to “I’m sorry I haven’t a clue” (the irony is not lost on me!) and the latest pop songs on the radio. I was introduced to Future Roots and the grounds of Rylands Farm by the lovely James – Julie’s partner in crime. Within a matter of a few hours, it became glaringly obvious the love, passion, dedication, motivation, inspiration, hard work, blood, sweat and tears that have gone into this project. I was, in essence, blown away. Not only that, but I realised that I was walking through one woman’s dream made real. For those three days I was infused with Julie’s hope, strength and belief in their enterprise and the best thing of all was the echoing message of “You can do it! Your dreams can come true!”. The course days were intense and thanks to that we pretty quickly built up a good student-teacher relationship. That said, throughout there was no sense of hierarchy and I felt like everybody was everyone’s equal. It was very humbling to be amongst such talented, compassionate, empathic and knowledgeable people and seeing them doing what they do best – providing farm based therapeutic, recreational and educational activities through various activities, many of which involve the animals. Now one of the things I have had to be very aware of whilst learning about Animal Assisted Therapy is that not every animal is suitable to work with in therapy. In fact I’d say it is very unusual to be able to get a large collection of animals where all are suitable for therapy unless you’ve spent seconds, minutes, hours, days and weeks building a relationship with them, socialising them, handling them and getting them used to many different situations, people, smells, experiences and environments. I’ve also been to plenty of farms and on the whole I would say that farm animals are often considerably more aloof and shy than your everyday companion and domestic animals. This is definitely NOT the case at Future Roots. Even at an early age, I couldn’t get enough of animals! but Future Roots goats are one of a kind – I’ve never met calmer goats (I did ask if they hadn’t been doped with Rescue Remedy :)). These goats were simply happy to stand there and let you stroke them and not once did they try to find an edible (or inedible) part of myself or my clothing! Unheard of!